Lime Cheesecake Cups - Home. Made. Interest. 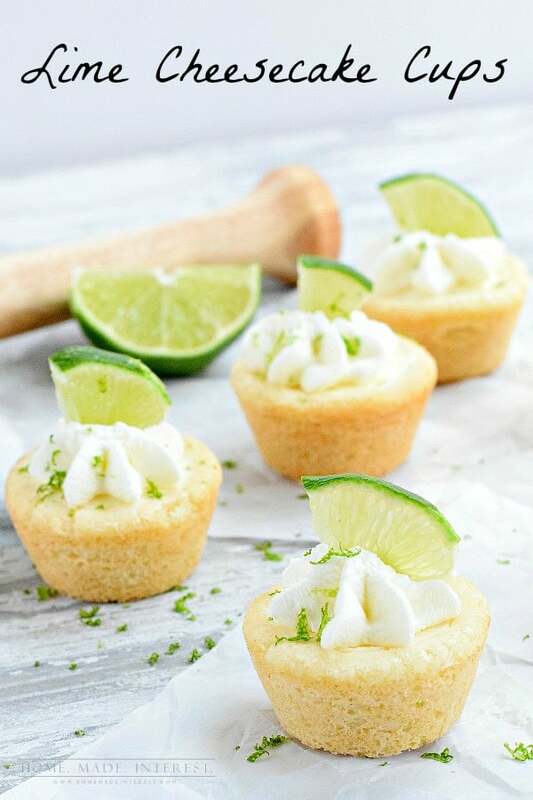 These Lime Cheesecake Cups are a great little bite-sized dessert for summer parties! Melinda and I love anything bite-sized, especially desserts! 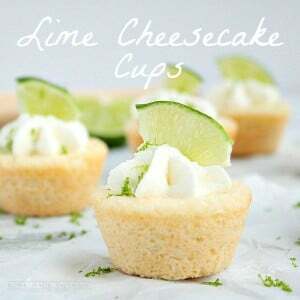 these lime cheesecake cups taste just like a key lime pie but they are even easier to make. We used store bought sugar cookie dough for the crust to save time and OMG, they are awesome! I had way more than I should have but I just couldn’t resist :). We’re sharing the recipe over at The Pinning Mama today so make sure to stop by and pin it so you can make them for a summer party, or just a treat for the family. I love sweets! And some of the recipes make my mouth water. Thank you for sharing these. Yummy…what a great summer treat! Thanks for sharing with the Thursday Blog Hop! Those look amazing! I’ll have to try this recipe for myself! This looks delicious and so fresh. My mouth started watering. I’m pinning the recipe for later. Stopping by from Marvelous Mondays. I have a whole bunch of limes growing my garden and didn’t know what to do with them. I’m now onto it! !